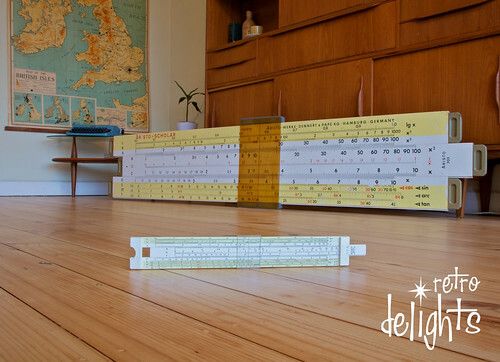 Denis and I own this gigantic slide rule (like most normal couples, not!). We had it sitting outside when moving house and our neighbour spotted it! Being an ex school principal he was absolutely fascinated by our large version of a slide rule. He promptly brought over his mini version (actually normal size) and to our delight we discovered they were the same brand "ARISTO". Perhaps our version was originally used as a teaching aid in university. Any ideas?